With a dramatic transformation of South Lake Union over the past decade, the area is now becoming known as a dining destination for Seattle residents and tourists alike. To promote the restaurants in the area, Vulcan Real Estate commissioned RMB Vivid to develop a campaign focusing on both the restaurants and the neighborhood as a dining destination. 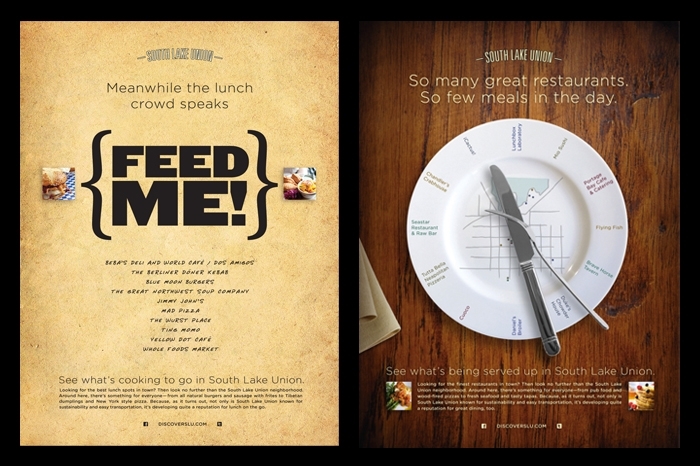 The completed campaign appeared in various regional magazines including Seattle Metropolitan and Seattle Magazine among others as well as appearing online on the South Lake Union website and email newsletter.